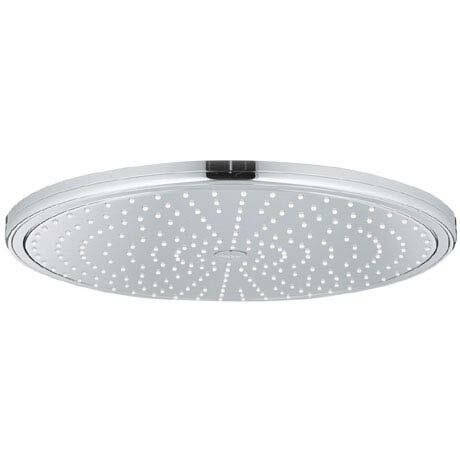 The Ondus 400mm shower head is a high quality extra large head that delivers a drenching and revitalising shower. It features GROHE DreamSpray® technology that delivers utmost precision and consistent water distribution to each individual nozzle. With SpeedClean nozzles, any limescale build up can easily be removed with a quick wipe with your cloth or hand. The luxury head is finished in GROHE StarLight® that is 10x more scratch resistant. Please note: this head shower should only be used in conjunction with shower arm 26146, 28982 or 28497.